Don’t worry though, our troubleshooting guide for Fallout 4 has all the workarounds for the known bugs, Errors and crashes in the game. Let’s start with this what you should have to do first before running the game which will save you many king of bugs and errors. Be sure to check the support article section related to the game you’re having problems with. It’s important that you have the latest version of DirectX and graphics drivers installed. If your mouse and Keyboard is not working on main menu, unplug the controller that you have will fix this issue. Save and close, run the game, you will have no issue with mouse. Follow the instructions below to download the beta patch from Steam. Disable the “NVIDIA Streamer Service” for less chance of crashing and game performance will be good. 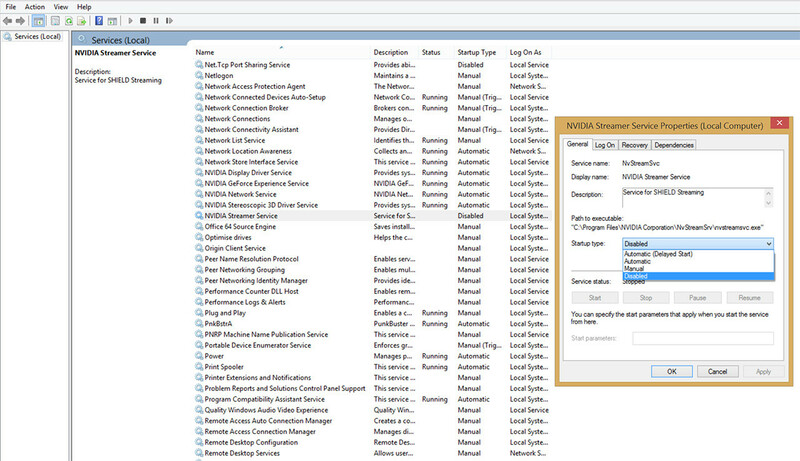 To turn this unnecessary service completely off and regain your lost framerate, as well as prevent any associated crashes, click on the Start Button on the Windows taskbar, search for “Services” and then right-click its icon and select “Run as administrator”. Using this screenshot as a visual guide, scroll down through the “Services (Local)” list, find and right-click on “NVIDIA Streamer Service”, then select “Properties”. First click on “Stop” to turn the service off, confirm that you also want to stop “NVIDIA Streamer Network Service” and then select “Startup type: Disabled” from the drop-down menu for both of these services. You need to update your graphic card driver, it will fix this issue, also download the beta patch from Steam. Go to Properties then the Local Files tab. Right click it and go to Properties. Check the Run this program as an administrator box. Once you have done this, restart Steam and try launching the game again. Navigate to your Steam install folder (Default: C:\Program Files (x86)\Steam). Right click the Steam executable. Follow the above steps to set it to Run as Administrator. Now that Steam is running as Admin, it should have no permission issues. Click Verify Integrity of Game Cache. That will remove any potentially corrupt or broken files and allow the game to run! Some antivirus programs are known to block programs from running.